It’s no secret that London Spitfire has been struggling to replicate world-class performances in the Overwatch League recently, so it comes as no surprise to see the team cutting four players from the roster. Hyeon-woo “HaGoPeun” Jo, Janh-hyeon “TiZi” Hwang, Seung-hyun “WooHyaL” Seong and Dong-eun “Hooreg” Lee have been designated as inactive until the end of the season. 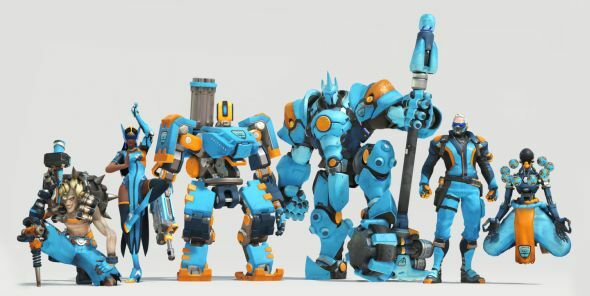 The four will remain on London Spitfire until their contracts end, however the team’s management confirmed that they will help the players look for new opportunities to continue playing Overwatch and the highest level. Like battling it out online with friends? Check out the best mulitplayer games on PC. London Spitfire took the decision to cut the players in an attempt to nurture a smaller “championship-caliber” team that can handle the pressure on stage and secure wins for the team and fans alike, according to a press release. “As such, our management team has been considering for some time how to best achieve a return to form and has arrived at the difficult decision of removing four incredibly talented players from out active roster as we look to focus on a smaller, core starting roster. On Reddit, general manager Susie Kim defended the decision not to bench the players, which would have given them the opportunity to improve and show their worth again. “There was a lot of discussions and tears over this decision,” Kim said. “Please believe me when I say that this was one of the hardest decisions we (staff, coaches, organisation) had to make. The four players are not bench material. They are incredibly talented players who should be able to shine on any team they play on. In the same post, Kim revealed that despite being a talented Reinhardt player, TiZi was unable to outperform Gesture, while Hago, Hooreg and WooHyal were high-performing players that unfortunately were unable to fit the combinations London Spitfire were trying to use. Time will tell to see if the roster change and renewed focus from London Spitfire will work in Stage Four of Overwatch League and beyond, but it must be said that it is refreshing to see such a transparent response from such a new esports organisation.